Simply Salvaged: Progress: Union Jack. It's been a great day! 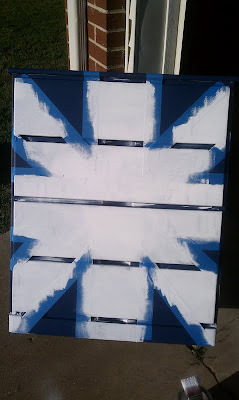 I woke up to beautiful weather, turned on Shinedown's new album (thanks to my wonderful husband) and started painting. I finally had to stop to eat. Remind me to never ever go to Taco Bell with a growling stomach ever again. 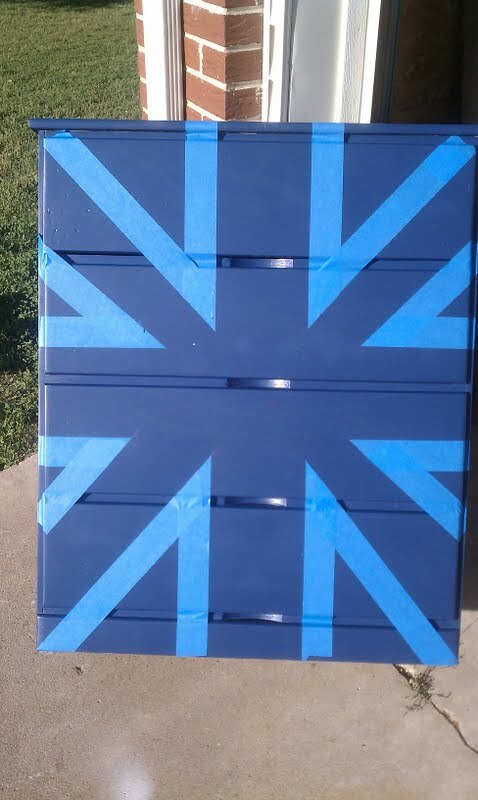 I've been wanting to do a Union Jack piece for quite a while and after some encouragement from a few fellow furniture painters I decided to go for it. 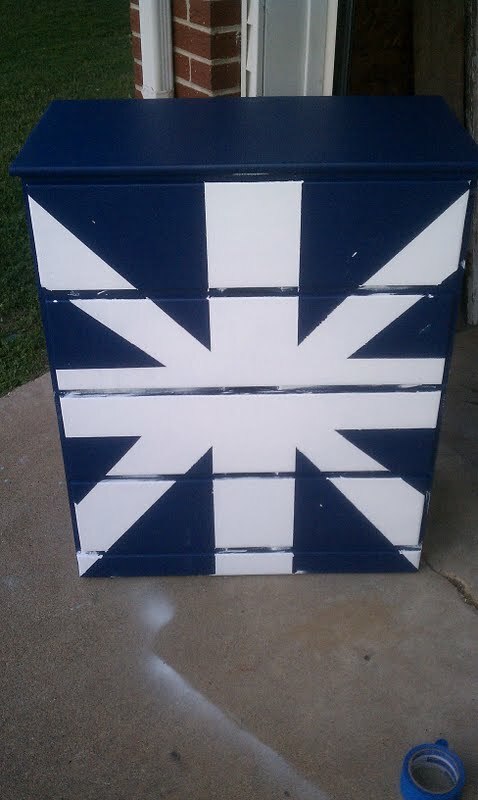 It's not perfect but I love it!! It's looking awesome! 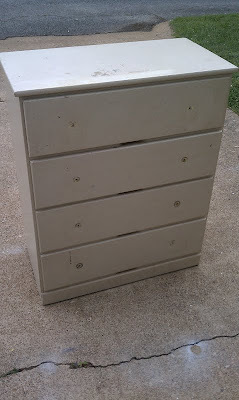 I cant wait to see it all come together! I love the dimensionality (is that a word?) 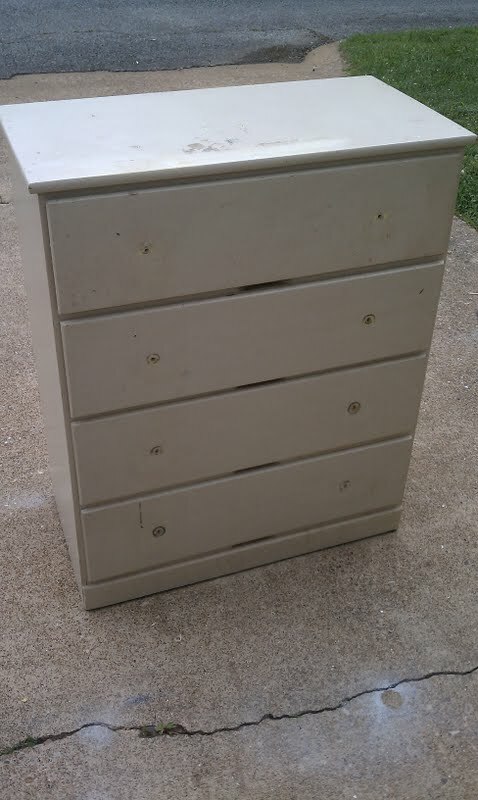 the drawer recesses are giving your version. Looking good!